[A] concentration of military forces in the Gulf creates an explosive situation in the region. One accidental shot would be enough to trigger fire on both sides. All countries of the Collective Security Treaty Organization share Russia’s concern. China is yet another major international player opposed to a military campaign against Iran. Unfortunately, neither protests from China, nor warnings from Russia have had any effect on the allies as they step up preparations for a new Middle East conflict. 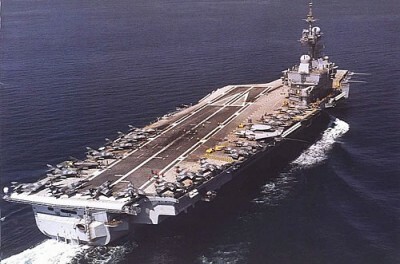 The United States, Britain and France have begun to deploy troops in the Gulf in a move which experts say suggests preparations for a war with Iran. The first strikes could be carried out at the beginning of the summer, media reports say. According to reports, troops are arriving at the Masirah Island in Oman which is located south of the Strait of Hormuz where a US air base is deployed. Two American strike groups are currently stationed in the Gulf. Some reports say that the grouping will be reinforced with one more aircraft carrier, the destroyer Momsen and the nuclear submarine Annapolis. The US is also enhancing its presence in Israel and Kuwait. British troops and troops from the United Arab Emirates have been arriving in Saudi Arabia. The main target is Iran, whose nuclear program has long been an issue of particular concern in the West. Reports have been leaked to the press that hundreds of penetration bombs capable of destroying heavily fortified underground bunkers have been delivered to an American base on the British Island of Diego Garcia in the Indian Ocean. The Strait of Hormuz, a major waterway for the transportation of Gulf oil to regions across the world, serves as yet another pretext for entering into open confrontation. Tehran has threatened to block it, and the allies are getting ready to strike if it keeps its word. However, none of the countries involved is prepared for war, Vladimir Sazhin of the Institute of Oriental Studies, says. However, a concentration of military forces in the Gulf creates an explosive situation in the region. One accidental shot would be enough to trigger fire on both sides. If that happens, Vladimir Sazhin says, the allies will have a clear advantage. The most unpleasant thing about all this is that the deployment of troops in the Gulf and stoking tensions may disrupt talks between Iran and international organizations. Many countries, first of all Russia, believe that neither using force nor imposing sanctions will help resolve the conflict. Russia’s Ambassador to the UN Vitaly Churkin has this to say.